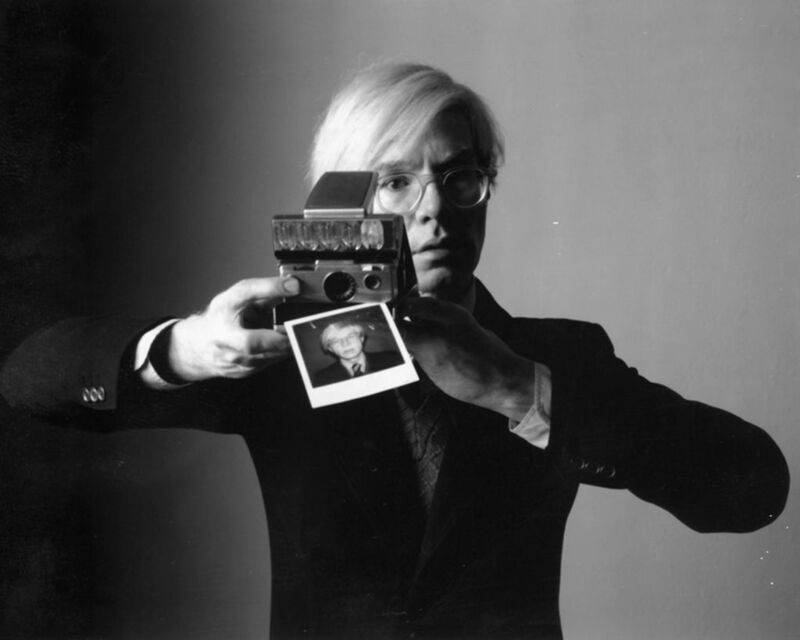 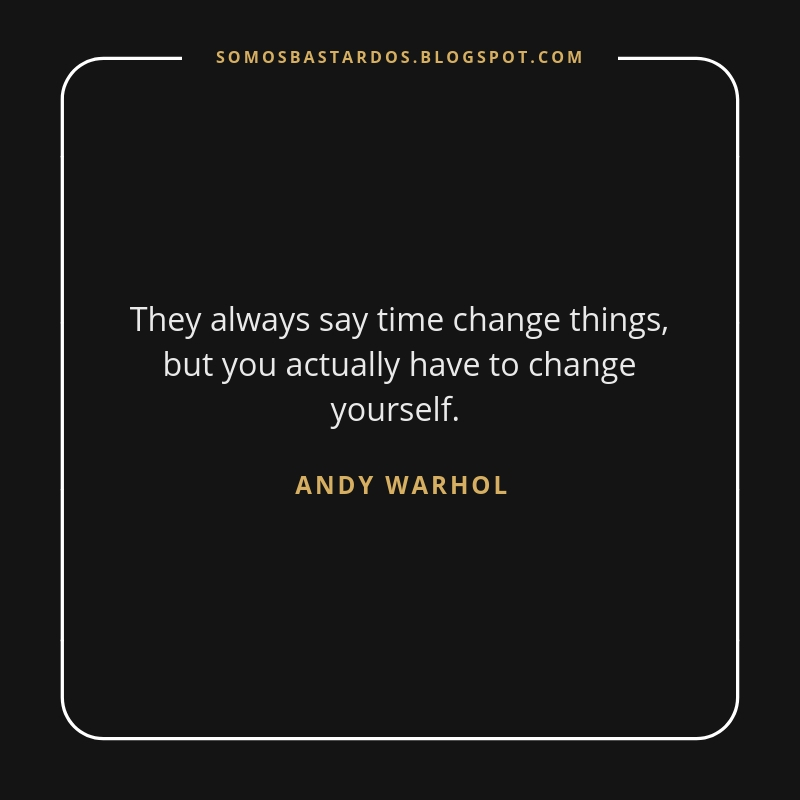 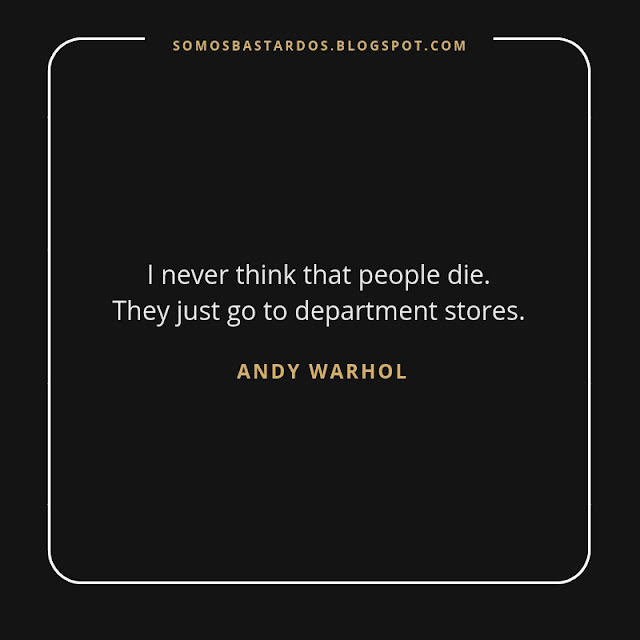 Andrew Warhola, was born in Pittsburg on August 6, 1928, commonly known as Andy Warhol. He was an American plastic artist and filmmaker who played a crucial role in the birth and development of pop art. 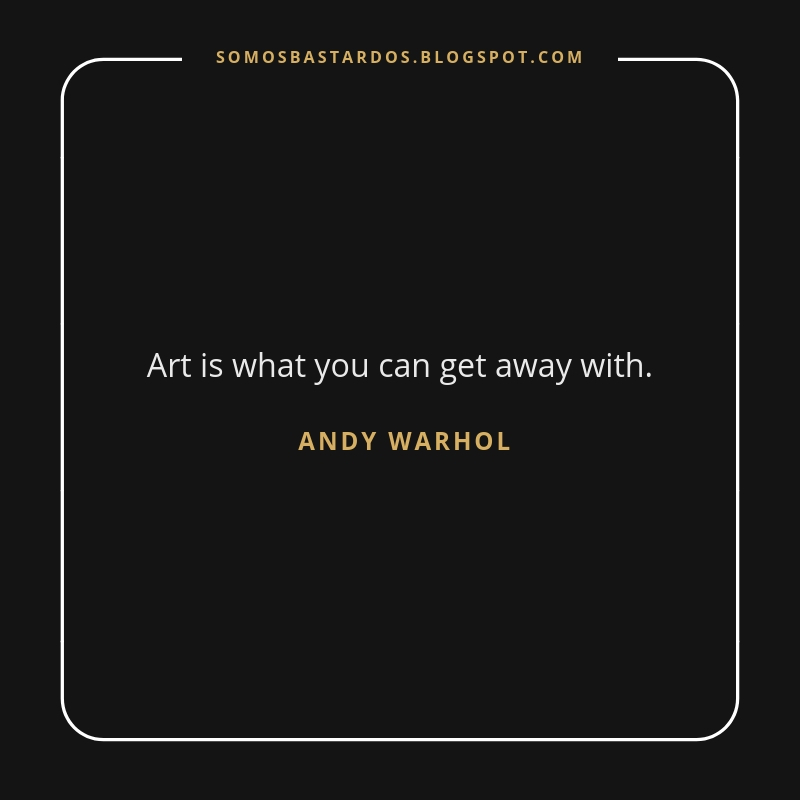 Like his art, his quotes are a source of inspiration. 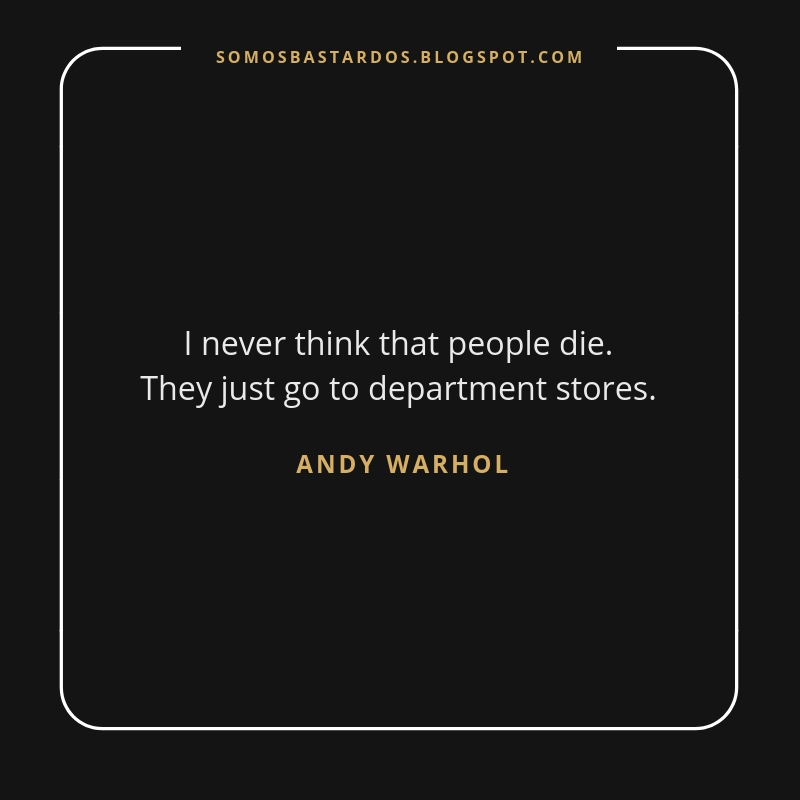 That's why we decided to share them on the blog to inspire you and share your favorite on your social networks: Twitter, Facebook o Instagram. "They always say time change things, but you actually have to change yourself." 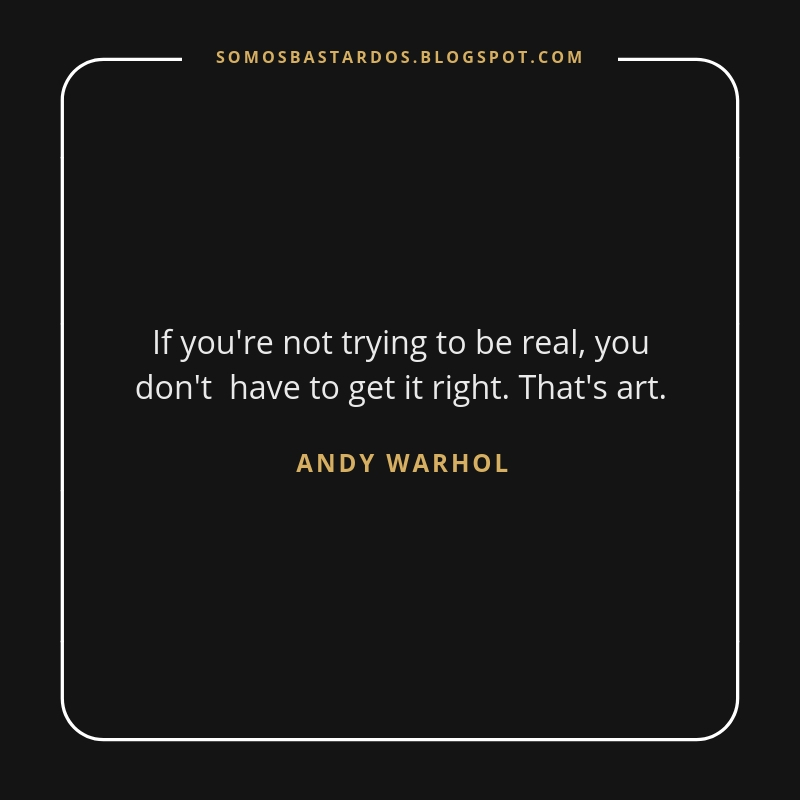 "If you're not trying to be real, you don't have to get it right. 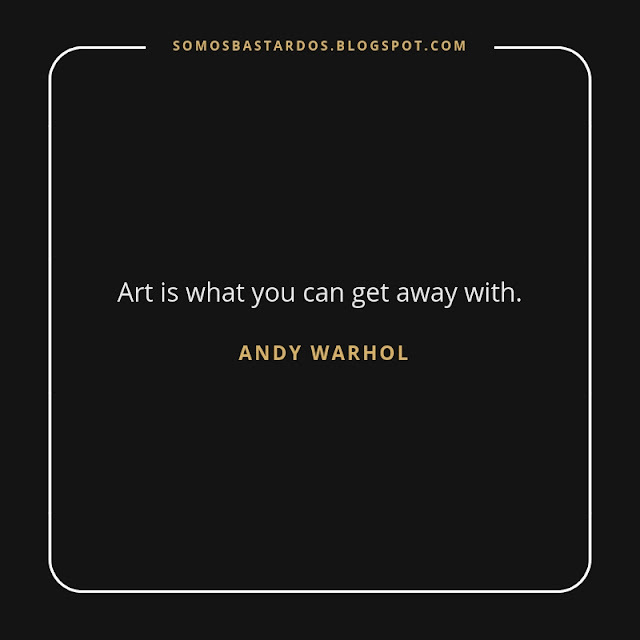 That's art." "Isn't life a series of images that change as they repeat themselves." "I'm afraid if you look at a thing long enough, it loses all of its meaning." 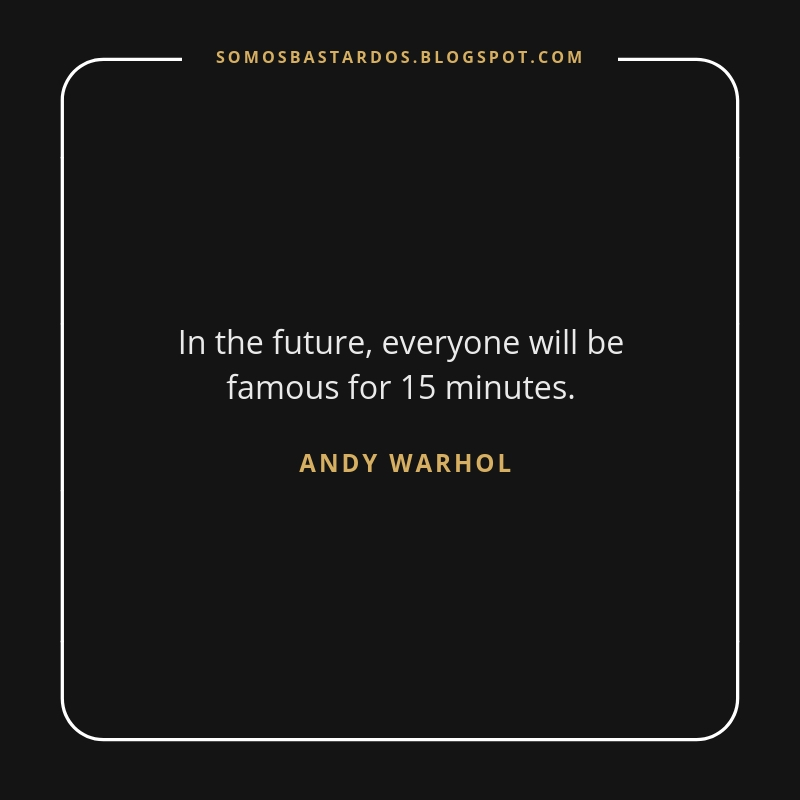 "In the future, everyone will be famous for 15 minutes." 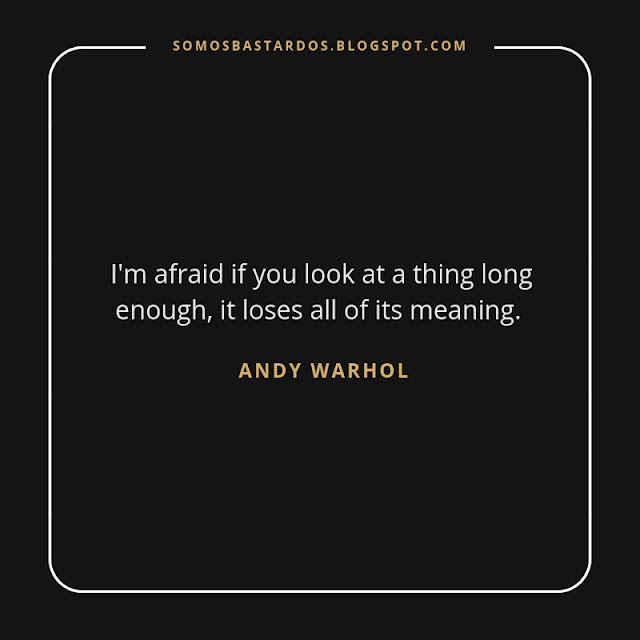 "People should fall in love with their eyes closed."